Some stoners are too busy to wake and bake so preparing an edible in advance is a really good idea! What better way to start your day then with a medicated muffin! These are absolutely delicious and you can make them exactly the way you like them, including blueberry, and you can glaze them. 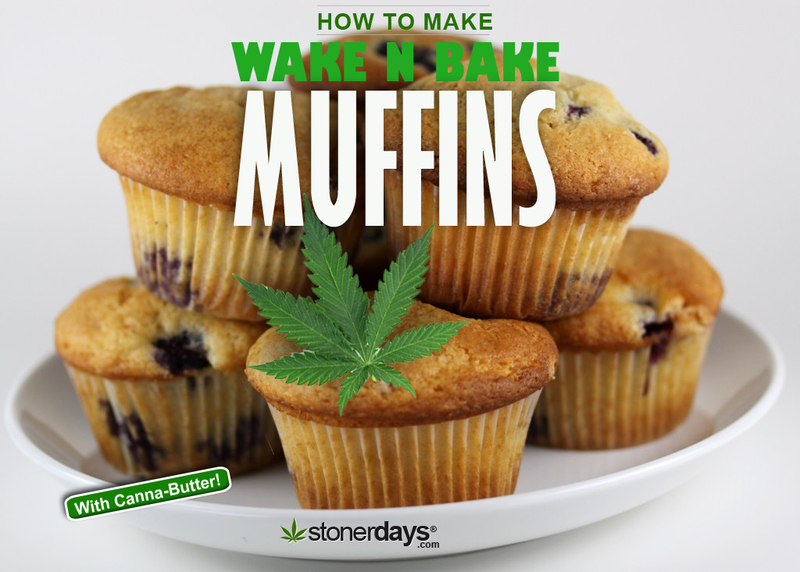 This recipe is just for the muffins, which you can bake and wrap individually so that you have a guaranteed wake and bake every day. Start by preheating your oven to 400 degrees and spray two 12-muffin pans with cooking spray. In a large bowl, whisk together the baking powder, salt, and flour. Separately, whisk together the sugar, melted cannabis butter, milk, vanilla, and eggs and then add in the flour mixture until the substance is slightly moist. It should be slightly lumpy, not completely smooth. This is where you should add in the blueberries. You can also add in some strawberries, raspberries, or any other fruit that you like. Divide up the mix in the two muffin pans and place in your preheated oven. Cook them for between 12-15 minutes and be sure to test them with a toothpick to make sure that they’re fully finished. You can wrap them in wax paper and store them in a cool dark place until you’re ready to eat them! This entry was posted in Stoner Cookbook and tagged COOK BOOK, medicated, muffins.